Picture of Little Traverse Bay Bands farmer Vivin LaCroix, son of Ben LaCroix, who owned and operated a dairy business circa 1910. Northern Shores Community Development, Inc. is a certified native Community Development Financial Institution (CDFI) offering business loans and business assistance to entrepreneurs in 33 counties in Michigan and Artisan, Energy Efficient and FARM loans to the entire state of Michigan. Northern Shores Community Development, Inc (NSCDI), a Native Community Development Financial Institution (CDFI) has been selected to receive a U.S. Treasury Department CDFI award for 2012. The grants were recently announced in Milwaukee, Wisconsin by CDFI Fund Director, Donna J. Gambrell and Treasury Deputy Assistant Secretary, Don Graves. “This years awardees will continue to provide vital financial services in low-income areas that are typically overlooked by traditional lenders, bettering the lives of Americans nationwide,” stated Gambrell at the presentation. This is the sixth year that NSCDI has been awarded a grant from the CDFI’s NACA program. 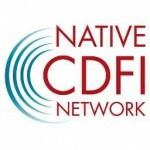 Only 210 organizations were selected for awards this year, and of these, only 18 awards were granted to Native CDFI’s. NSCDI’s 2012 award will provide continued financial and technical assistance to start-up and existing businesses within its six county service area in Northern Michigan, including Antrim, Charlevoix, Cheboygan, Emmet, Grand Traverse and Kalkaska counties. Northern Shores Community Development, Inc., a nonprofit corporation, assists primarily Native American Indian communities and other underserved Michigan residents with training, business incubation, and access to capital. The Corporation was formed primarily for charitable and educational purposes to promote community development for the Little Traverse Bay Bands of Odawa Indians. This will include training, technical assistance, business incubation and a loan fund. Detailed descriptions of intended purposes are stated in the Articles of Incorporation.